ASHLAND — Area residents are invited to join in a discussion of the book, “The Distance Between Us,” a memoir written by Reyna Grande, who immigrated from Mexico to the United States as a child accompanying a parent. The discussion, which is free and open to the public, is Tuesday, Oct. 16, at 7 p.m. in the Eagles’ Landing lounge on the first floor of the Ashland University Student Center. The book is available online or at the AU bookstore. “The Distance Between Us” provides detail into lives of poverty in Mexico, family dynamics associated with migration, the dangers of border crossing, and the hardships and challenges of life in the U.S. as an undocumented Spanish-speaking child. The book tells the story of a child’s life recalled from her perspective at whatever age she had attained when an event took place. Grande’s ability to recall her childhood memories in such detail is the strength of the book. It allows readers to see her experience without the overtones or stereotypes that overlay so much discussion of immigration today. 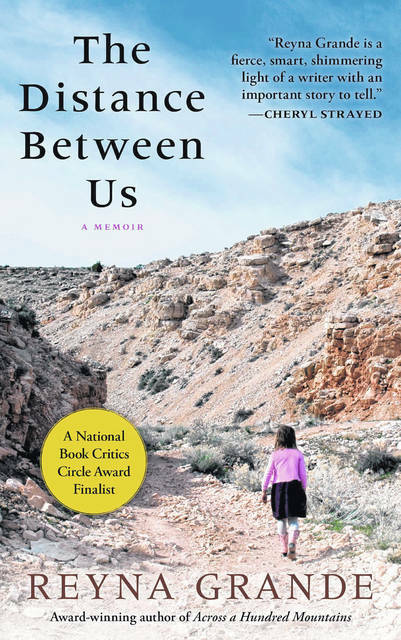 “The Distance Between Us” was a finalist for the National Book Critics Circle Award in the autobiography category. The book discussion will be led by Nancy Udolph, associate professor of social work at AU, and Dorothy Stratton, professor emerita of social work at AU. The event is the final one in the immigration-focused series, “Who Is My Neighbor?” sponsored by the Ashland Center for Nonviolence. Co-sponsors of the series include the Catholic Commission of Wayne, Ashland and Medina, and the Ashland University Religion Department. At the end of the discussion period there will be a drawing for a richly illustrated Mexican cookbook, Pati’s Mexican Table, with recipes from the popular PBS series by the same name. The drawing is free and available to those in attendance.